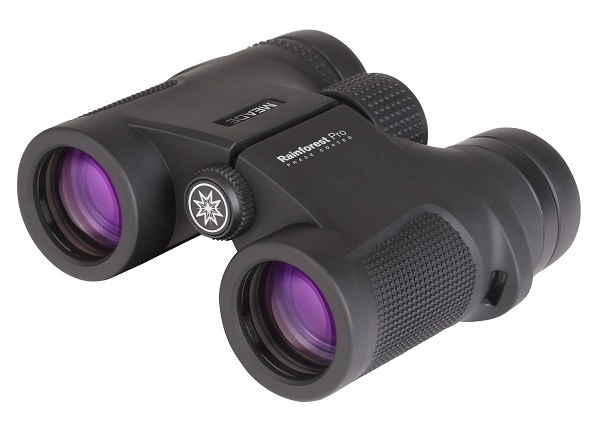 Meade Rainforest Pro 8x32 binoculars feature fully multi-coated optics and phase coatings along with BAK4 roof prisms. They are also waterproof and fogproof. All Meade binoculars and spotting scopes have a 2 year warranty. The warranty period begins on the date of purchase of this product and is valid throughout the EU. The warranty does not cover damage caused by improper use, normal wear and tear, exposure to chemicals, force majeure, or modifications or repairs performed by yourself or third parties.